SNAFU! : Tyler Rogoway @ The Drive has an interesting take on the AAV-SU cancellation. Tyler Rogoway @ The Drive has an interesting take on the AAV-SU cancellation. 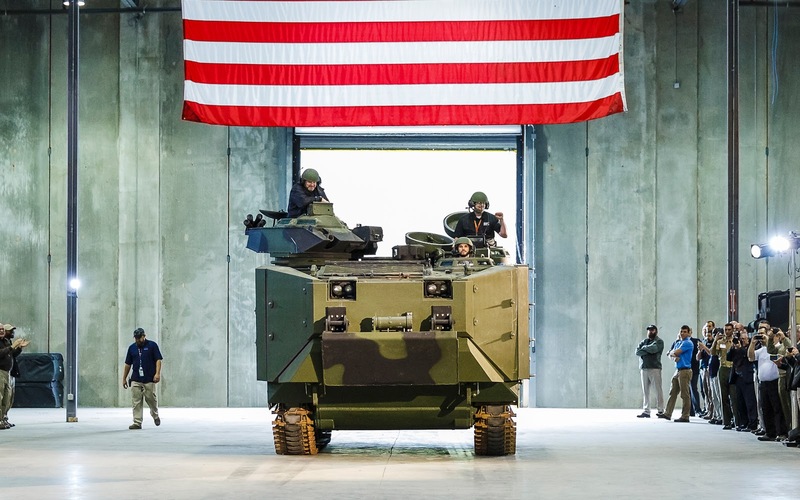 U.S. Marine Corps has canceled plans to upgrade its tracked Assault Amphibious Vehicle family, or AAVs, as it begins to acquire a new fleet of wheeled Amphibious Combat Vehicles, or ACVs. However, the service still plans to operate a portion of the older AAVs through at least 2030 and it could take up to five years just to find appropriate funding to begin increasing production of the ACVs to fully meet the Marines’ demands. Defense News was first to report that the Marines had axed the AAV update project, known formally as the Assault Amphibious Vehicle Survivability Upgrade program, or AAV-SU, on Sept. 24, 2018. The Corps had issued a stop work order to defense contractor SAIC, which was building the kits that include improved underbelly and hull armor, blast-absorbing seats for the crew and passengers, along with a new engine, transmission, and suspension components to improve the vehicle’s performance even with the added weight. “Rather than continue to invest in that vehicle that, even in upgraded form, will not provide adequate maneuverability, survivability, or ship-to-shore performance, the Marine Corps believes these funds would be better used elsewhere to support modernization initiatives across the force.” Manny Pacheco, a spokesperson for the Program Executive Office for Land Systems, told Defense News. “The key there really is, ACV performed a lot better than expected,” he added in separate comments to USNI News. This is an interesting story. I don't know if he has it right but he's promoting the idea that cancelling the AAV-SU doesn't make sense because there will be no "speed up" in acquiring the ACV. Also he's saying that the upgrades have already been paid for and that the vehicles will serve till 2030 because of the budget trainwreck and the Marine Corps being unable to clear the tracks anytime soon. That's a bit distressing if true. Manny needs to get back out there and explain this stuff. If Tyler's assertions are spot on then we're seeing bad stuff happening instead of the good news I was hoping for.